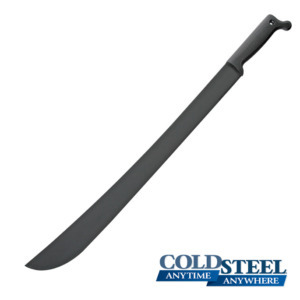 The Cold Steel 18 inch Bush/Latin Machete sheath is made from heavy duty Cor-Ex Cordura nylon and fitted with belt loop attachment. The tip is reinforced with hard plastic, the seams are taped and riveted and there is a snap enclosure for the handle. 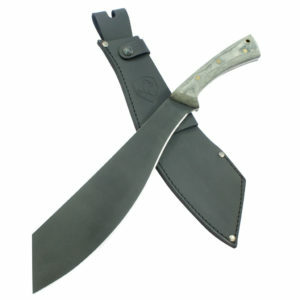 These sheaths will fit most 18 Inch bush or Latin style, straight machete blades.